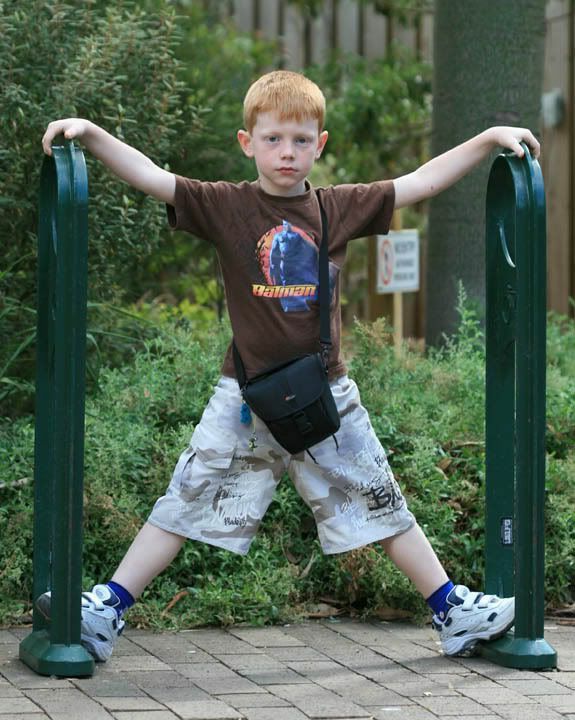 At the Zoo, I asked Connor to pose for me while I changed lens in the camera and set it up. He wanted to move on. Of course! Comments welcomed of course on any of my shots. I like it...it definitely reflects his mood! I also like the symmetry of it. Nice DOF. Well done. Duly moved to Mugshots Jan. This is a great picture, it will remind you of the Zoo trip. Thank you Stewart! Connor had his new camera around the neck, he was very anxious to get more pics. Grandma is way to slow.